Siemens Mobility is adding to its range of electric vehicle charger solutions with two new launches. 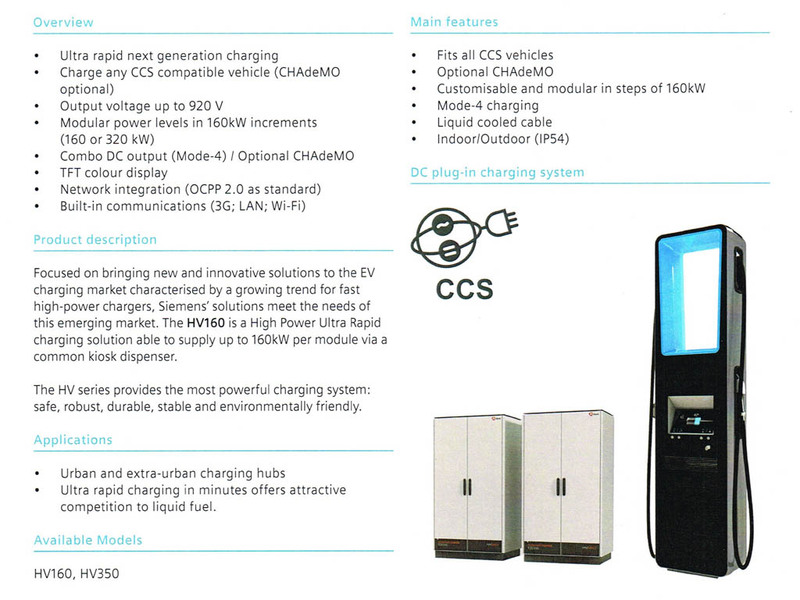 The company is debuting a new ultra-fast, high-powered HV modular charger, which can be expanded in 160kWh increments. 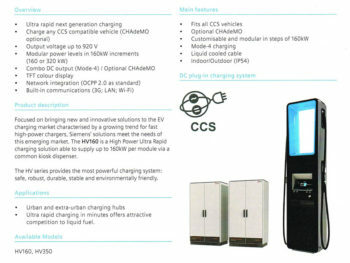 The solution is compatible with all combined charging system (CCS) EVs and features liquid-cooled cable, built-in communications (3G, 4G, LAN and Wi-Fi. Siemens Mobility is also introducing a new contactless payment system. This provides a subscription-free, pay-as-you-go option for charging points and can be either retrofitted to existing chargers, or as a new installation. It can be used in conjunction with leading contactless payment providers and with major credit and debit cards.